If you are anything like me, you are always looking for tools that make your work easier and faster. Readymag is a tool that allows you to create websites, specifically microsites, presentations, magazines and portfolios in a responsive digital format without coding. The platform is designed for creative professionals who don’t have the knowledgebase or time to create a site from scratch. It is further made for creative because of the format options – microsite, magazine, photo stories, portfolios, presentations – that come with Readymag. And you can create a site and publish it quickly using included design tools. 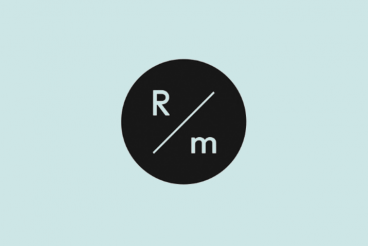 Here’s a look at Readymag and how it works. 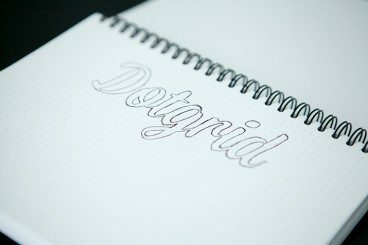 Today we’re going to take a step back from the digital world and take a look at a real life physical product: Dotgrid.co notebooks. These notebooks are made in the UK and are the work of Callum Chapman, a name you’ll likely recognize from the design community. Callum has worked hard to create a solid product and I couldn’t be happier with my own Dotgrid.co notebook. Read on to see what they’re all about. Smashing Magazine, one of the most significant forces on the web for all things design and development related, is hitting us with another tome of practical and insightful industry knowledge. 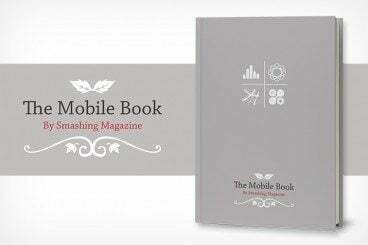 The Mobile Book is the latest product of Smashing’s foray into publishing, and it just might be the best one yet. Read on to see what The Mobile Book is, who it’s for, and why there should be a copy sitting on your shelf as soon as possible. Print design is an entirely different beast than web design and it comes with its own set of unique challenges. 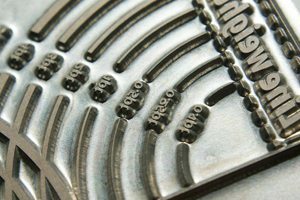 You might think it sounds simple, but the knowledge required to pull off print jobs with a high degree of success is staggering. You have to understand how different inks will be affected by various types of paper, whether or not small type will be readable in the color that you’ve set it, how to set up your file properly for commercial printers, and a lot more. Whether you’re a seasoned print pro or a complete beginner, it’s actually pretty easy to screw up a print job, and unlike digital design, there’s no undo or simple updates. Today we’re going to check out an awesome tool that will help you get it all right the first time around: The Print Handbook. You’ve no doubt seen some buzz about a new book from Jon Duckett titled HTML & CSS: Design and Build Websites. Books on how to build websites are a dime a dozen. They fill entire sections of every book store around while many of us ignore most or all of them in favor of web-based learning. So what makes this book so different? Why is it gaining so much attention? Does it live up to all of the hype? 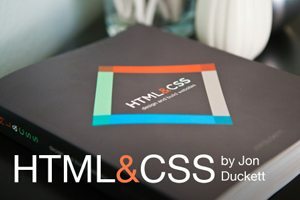 Read on to find out how Duckett is changing the way we think about web development books and why it’s hands down the best book I’ve ever read experienced on introductory HTML & CSS. Twitter launched a radically new layout to users Thursday. The first to see the new look were mobile users through the Twitter iPhone and Android apps. 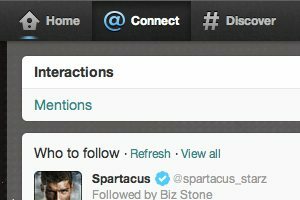 After updating those apps, the new look of Twitter became active on those users’ computers as well. All other users will begin to see the updated Twitter look over the course of several months. The results are mixed. The new look and interface is great for mobile users and the sleek interface is cool. Features on the computer version mix the super-sleek interface with a few bonuses but also a few misses. Pages have more pop but still have the look and feel you would associate with Twitter. The site also rolled out branding pages for companies that have a nice look but could change the organic feel that has brought people to Twitter. Visually, Twitter has reinvented itself consistently across various platforms. Aside from slight, device-specific tweaks the interface looks the same on the website, on a tablet and on a smartphone (no update for the Mac app as of yet). The biggest plus for designers and other visual professionals is an enhanced use of images to push you toward content. Twitter is starting to define itself as more than just a 140-character platform. Think you know everything there is to know about CSS3? Thing again. Author Peter Gasston just released “The Book of CSS3: A Developer’s Guide to the Future of Web Design“, which takes an in-depth look at all things new to the CSS world. Is it just another CSS book or a must-have addition to your library? Read on to find out. It’s been over a year since we took a look at Smashing Magazine’s very first publication, and the web industry has come a long way in twelve months. Today, we’re going to offering our thoughts on The Smashing Book #2, hailed as “sharing valuable practical insight into design, usability and coding”. With a great range of contributors and big steps forward in shipping and physical design, let’s see how Smashing Magazine’s latest release stacks up! When Smashing Magazine first announced the release of their book, I have to confess that I was slightly sceptical. I enjoy their blog regularly, but didn’t really see how the concept would carry across to a book – or what topics it would cover. I’ve spent a few hours reading through my review copy over the past week, and have been pleasantly surprised. Sven and Vitaly have managed to bring several talented writers on board to help put together a thoroughly interesting read. This review will walk you through the book’s contents, and outline a few of the chapters I particularly enjoyed! E-commerce sites are notoriously busy and overcrowded. Today we’ll be examining a ton of online stores that break this trend by being both functional and attractive. Each of the examples below has a unique lesson to teach us about good e-commerce design. Let’s get started! Every blogging platform has a built-in blog editor, some better than others. However, you’ll be hard pressed to find an online editor that can offer the richness found in many desktop applications. Features like offline editing and posting to multiple blogs at once make desktop solutions a must have for professional many bloggers. Here’s a list of 20 applications that allow you to create blog posts from the comfort of your operating system environment, no internet connection required.